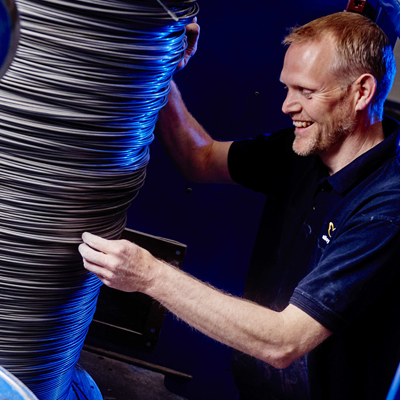 Alloy Wire International (AWI) is heading to Farnborough International Airshow next week, with its largest ever range of high temperature nickel alloys. The company, which enjoyed a 20% surge in sales in 2017, is looking to showcase its Nimonic, Inconel, Waspaloy, Rene 41, Phynox (UNS R30003) and titanium material to manufacturers looking for high quality and reliable delivery for use across the aerospace sector where the need for corrosion resistant wire and bar is high. AWI’s new campaign – ‘Certainty in an Uncertain World’ – is also being promoted, highlighting the firm’s ability to ‘make to order’ in just 3 weeks and its huge stock range that now exceeds 200 tonnes of more than 60 different alloys. 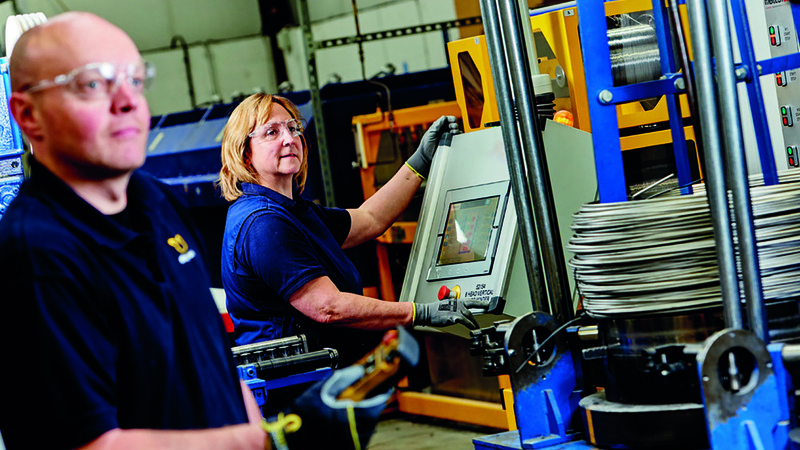 “The aerospace sector represents a huge opportunity for us, with spring manufacturers using our wire to produce compression springs, tensions springs, torsion springs and formed parts for use in critically demanding environments like aircraft engines – where other wire just does not perform under such conditions,” explained Angus Hogarth, Sales Director at Alloy Wire. Operating across 55 countries worldwide, Alloy Wire has held the AS9100 Aerospace & Defence quality accreditation for over five years. All of its 60 different High Performance alloys are DFARS and EU compliant and can be supplied in quantities from 3 metres to 3 tonnes. AWI completes all wire testing on site and this includes heat treating of age hardenable aerospace alloys to confirm mechanical properties achievable.